Makes is possible to solder aluminum to aluminum or to many other metals. “ALUSAC-35” is a lead-free solder developed for aluminum bonding. 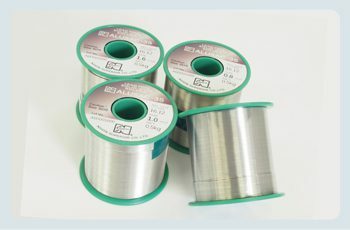 Aluminum to aluminum, aluminum to copper, aluminum to tinplate, aluminum to magnesium … …you can join aluminum and dissimilar metals by soldering easily. This is the biggest point. Let’s see the features of “ALUSAC-35”. Electrochemically matched to substrates to prevent galvanic corrosoin. Soldering of aluminum and dissimilar metals has been said that “it sticks but it is brittle (low strength)”. For example, taking one of the typical alloys of lead-free solder “SAC 305” as an example, it seems that the strength is maintained just after soldering, but the bonding strength decreases with the lapse of time, and finally it has been confirmed issue that the joint is peeled off. This is due to the occurrence of “electrolytic corrosion” (galvanic corrosion) due to the formation of a local battery at the junction because there is an opening in the potential difference between aluminum and dissimilar metals (eg copper etc.). 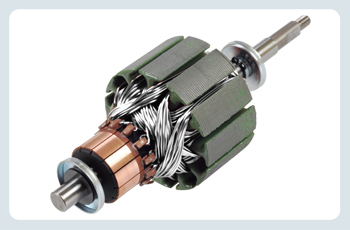 “ALUSAC-35” has such characteristics that are resistant to electrolytic corrosion. Because it is resistant to corrosion, it is possible to maintain the bonding strength even after a lapse of time after bonding. How long is it resistant to corrosion? For more information on alloy properties, please refer to “Digital Library“. 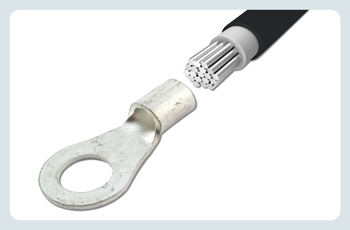 ALUSAC-35 is ideal for joining automotive aluminum cable with copper terminals, aluminum wire motor coils, etc. ALUSAC-35 could well provide the solution for lead-free aluminum soldering that you are looking for.